11-year-old Antranig Baghdassarian proudly displays his first book, Close Encounters with This Weird Robot Thing, which he wrote while still in elementary school. 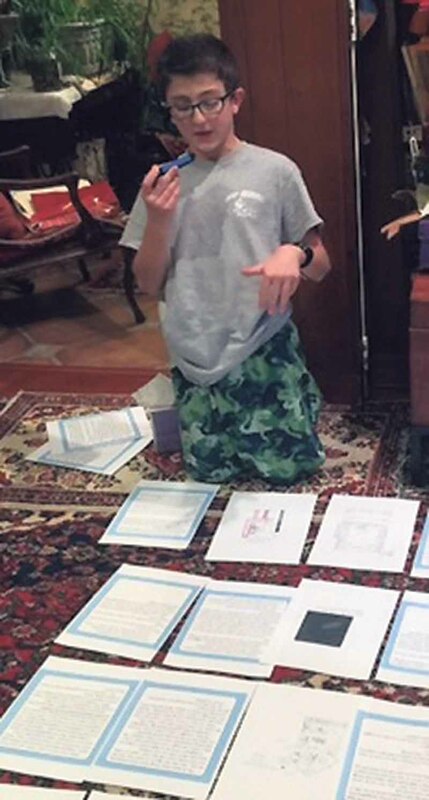 At 11 years old, Antranig Baghdassarian accomplished what most writers don’t until their 30s. Now a sixth grader in Great Neck South Middle, he wrote the children’s book Close Encounters with This Weird Robot Thing and became a published author while still in elementary school. In this clever book, the protagonist, Adam, is a fifth-grade boy who finds out that he built a robot in the future and sends it back in time to save people from an evil scientist. Told from Adam’s point of view, the story follows his journey to stop the wicked Professor Walden, who wants to build a machine that makes everyone look the same, because he was bullied about how he looked. 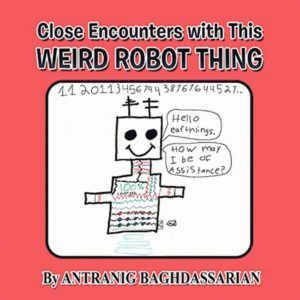 Antranig Baghdassarian reads from his own book, Close Encounters with This Weird Robot Thing. The imaginative writer was also inspired by his interest in robots. When he decided to put these ideas and interests on paper, it resulted in “the creation of a 3-meter robot from the year 3000.” Baghdassarian wanted to get his story published so that more people could have the adventure that he felt when creating the book. The sixth grader edits his sci-fi creation that was inspired by his interest in robots. When Baghdassarian first told his friends that he had become a published author, they were in disbelief. After realizing he was serious, his peers were proud of and impressed by the achievements of their classmate. “It made me feel happy that someone appreciated my effort and was excited about what I wrote,” said Baghdassarian. As for the reactions of his teachers, many were blown away and some even asked for a copy. His school’s support encouraged Baghdassarian to write more. The front cover of Close Encounters with This Weird Robot Thing, which was written by a Great Neck South Middle schooler. 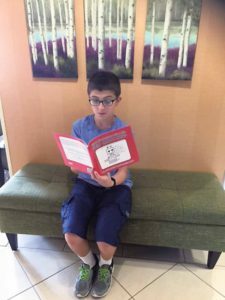 The sixth grader emphasized the great amount of time, dedication, organization and effort it takes to write and publish a book, and pointed out that it is not a quick process and, in order for it to be successful, you have to be able to accept change. 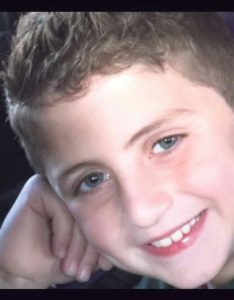 Antranig Baghdassarian is now a sixth grader at Great Neck South Middle School. 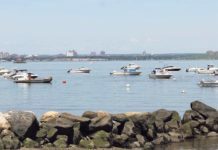 “I love that when you’re writing a story, there are so many possibilities for where it can go,” explained the Great Neck South Middle schooler, but he said writers must be open to them. Overall, after a lot of diligence and creativity, he is so happy with how his work turned out. When Baghdassarian isn’t writing about time-traveling robots, he likes to play games where he can be creative and let his imagination run wild, like Minecraft. A huge concern for the young author is pollution and he wants to help preserve the environment. 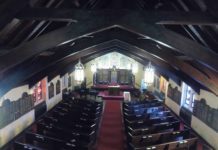 He is passionate about raising awareness about global warming and the movement to “go green,” and hopes to continue this throughout his career. 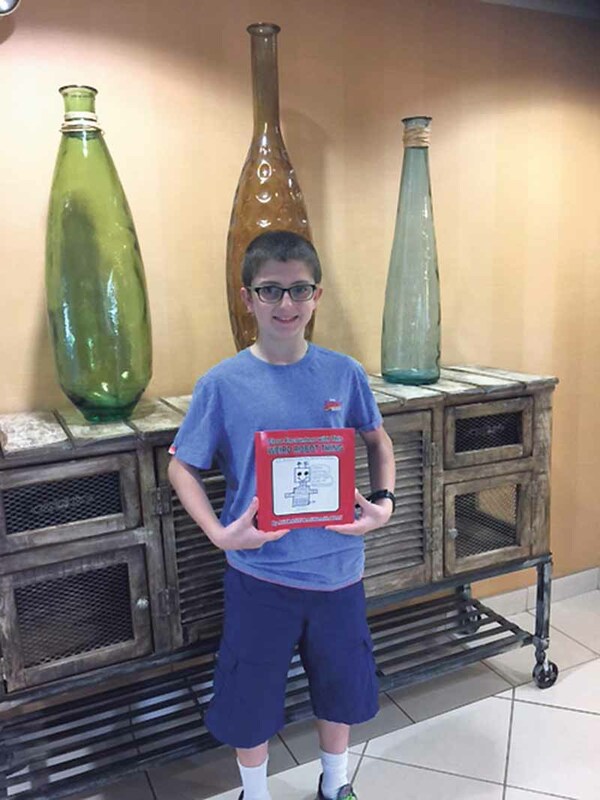 Baghdassarian’s future aspirations are to become a mechanical and electrical engineer, and he is excited for all the possibilities and novelties to come in the future. He feels very grateful to have loving and caring parents, Ani and Bob; his two sisters, Anoush and Sophie; and his brother, Aram, who have supported him throughout this process, and reminds others not to forget to acknowledge the people who help them fulfill any passion. 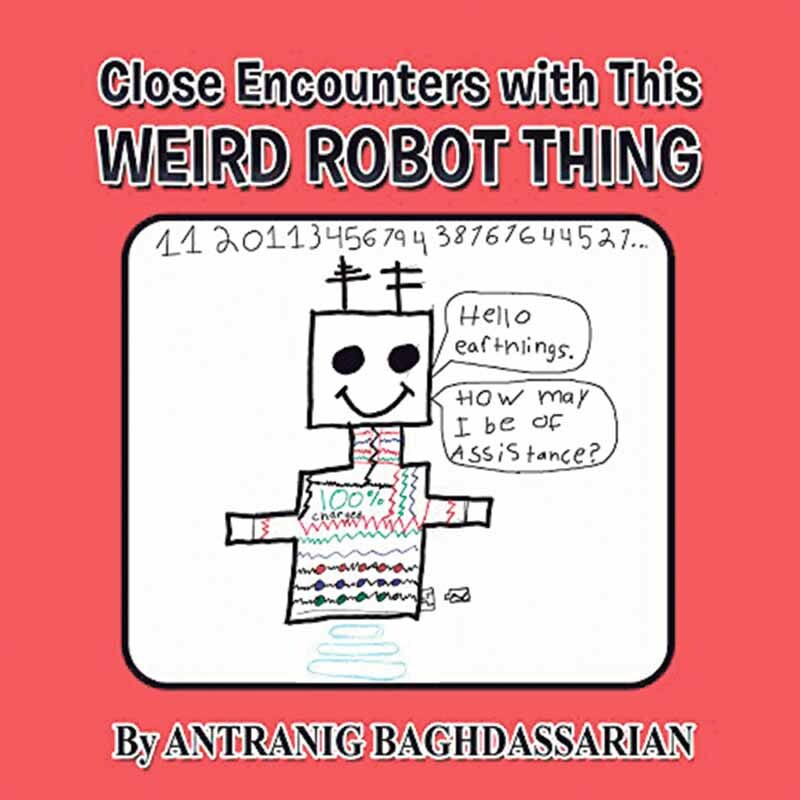 Close Encounters with This Weird Robot Thing is available on Amazon, in Barnes and Noble stores and on Xlibris.com. The gracious sixth grader thanks readers of his book and welcomes feedback at antranigcoolguy@gmail.com.